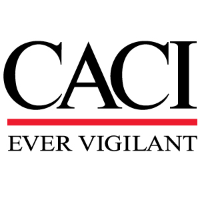 CACI is seeking a cleared Electrical Engineer with strong firmware and software experience to join our integrated contractor / government team responsible for full acquisition life cycle support of state of the art target acquisition sensors for the Army. As a contributing member of the Product Management Office (PMO), you will help save lives by providing world-class Forward Looking Infrared (FLIR) sensors to Soldiers to enhance their lethality and survivability. You will perform a variety of complex engineering tasks of an analysis, design, or test nature. Provide professional electrical engineering support as part of a small multi-functional product team. Effectively communicate with leadership and multiple geographically-dispersed stakeholders to communicate status and maintain support for the program. Collaborate with hardware and software designers/engineers and analysts to develop, coordinate, analyze and evaluate hardware, software, or systems modeling and simulation-based studies and to examine ramifications of output and design interfaces with various design systems. Complete technical review and analysis of vendor deliverables (e.g. drawings, designs, reports) related to requirements analysis, interface design, system design, and system performance. Support Government technical reviews, including Preliminary Design Review (PDR), Critical Design Review (CDR), Test Readiness Review (TRR), System Verification Review (SVR) and Physical Configuration Audit (PCA). Provide oversight of vendor design, development, integration, testing and production activities. Track user requirements and their translation into system requirements and specifications. Apply standard practices and techniques in specific engineering assignments and prepare data and documentation when applicable. 7+ years’ Electrical Engineering experience in analysis, design, and test of electronic parts, components, integrated circuits and a strong firmware and software background (applications for ground vehicles desired). 7+ years’ experience analyzing equipment to establish operating data, conducting experimental tests, evaluating results, and selecting components and equipment based on analysis of specifications and reliability. Experience with board level and system level functional and software requirements. Experience with the design of circuit card assemblies for military environments (thermal and structural, design, test and qualification). Experience developing software and firmware for Field Programmable Gate Arrays (FPGA) based processing systems and/or real time operating systems (RTOS). Demonstrated technical, analytical and problem solving skills, and able to manage multiple activities simultaneously in a fast-paced and dynamic environment. Ability to convey technical designs, ideas and results to non-technical audiences and provide briefings to high-level government personnel. Strong understanding and demonstration of the soft skills required in terms of professionalism, conduct and execution in a client-facing role. Strong oral and written communication skills and ability to work effectively with a wide variety of personalities. Strong ability to take vague tasks or independently identify needs, think critically, and deliver exceptional results with minimal guidance. Demonstrated time management and organizational skills. Proficient with Microsoft Word, Excel, PowerPoint and Project. University Degree (BA/BS) in systems engineering, mechanical engineering, or electrical engineering. Defense Acquisition Workforce Improvement Act (DAWIA) level III certification in Engineering. Experience with Army Category (ACAT) level I or II programs. Experience with Forward Looking Infrared (FLIR) systems and subsystem requirements. Experience with image processing algorithms, including local area contrast enhancement. Experience with integration of systems on ground combat systems.